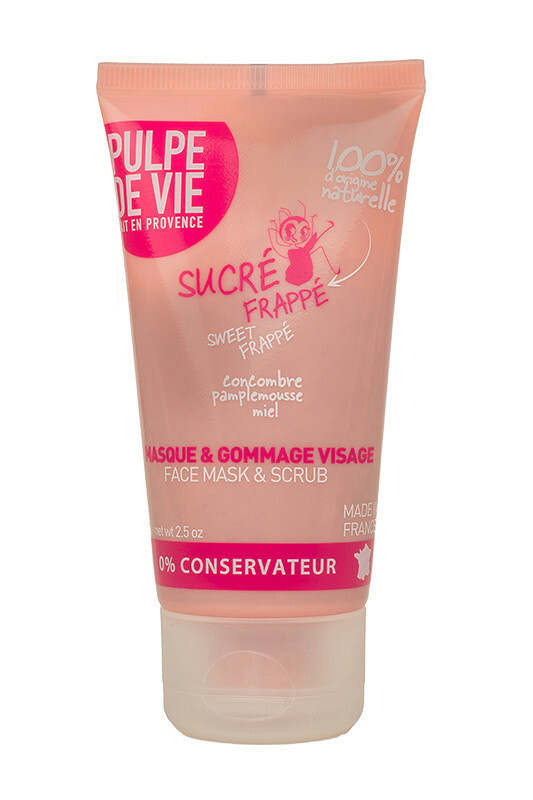 Pulpe de Vie "Sucré Frappé" is a duet hit, radiant mask and peeling scrub, made of pink grapefruit peel, that renovate the face and give it vitamins. 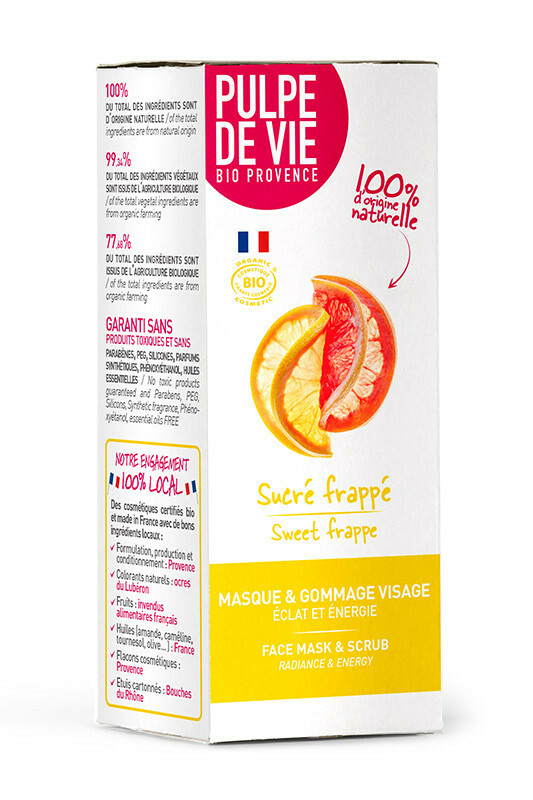 It is made of 30% grapefruit extracts, cucumber and apricot kernels, organic fruits and vegetables from the Mediterranean region, with a mix of lavender honey and glycerin. 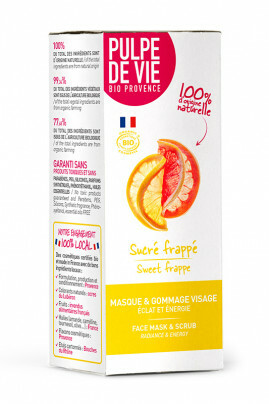 Effect 1, CARE : Apply Pulpe de Vie Organic Mask and Scrub on dry skin, leave it for 5 min. Do not get in contact with water. Effect 2, EXFOLIATING : Massage softly, my apricot kernels will purify your skin! Effect 3, MAGIC : Add water, I transform into milk, much easier to rinse! 30% grapefruit oil, cucumber extract and apricot kernel extracted from organic fruit from the south of France and a cocktail of honey and glycerin.